Techno Security… What’s it all about? Techno Security is a conference that was hosted by NUIX this year in Myrtle Beach. As that first link suggests, this conference has been bringing IT security professionals together for 16 years now. Techno Security doesn’t aim to be the biggest conference of it’s kind–just the best. 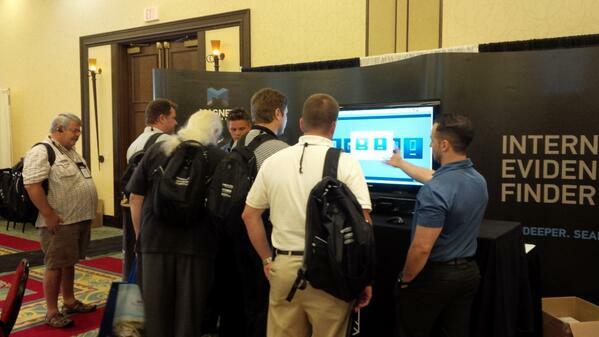 At the Myrtle Beach Marriott Resort this year, Techno Security capitalized on a lot of the hotels real estate. There was a large banquet hall style room that was opened up for a great host of exhibitors. There were so many exhibitors that there was even overflow into the hallways surrounding the main exhibit area. On the other sides of those hallways there were rooms and smaller halls for training sessions. Even the halls in the basement of the hotel were packed with IT security and forensic-related sessions. 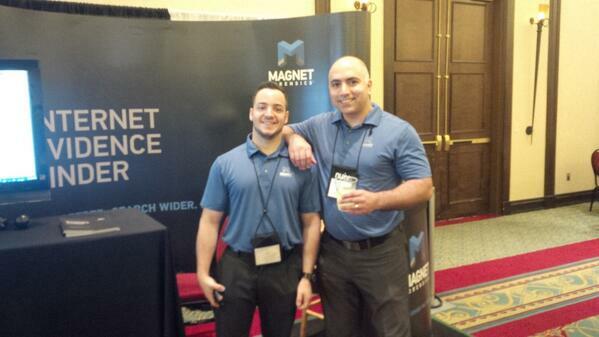 This was my first conference not only with Magnet Forensics, but also in my professional career. While I’m not a product manager within our organization, I was selected to go to act as an ambassador for our primary development team. It was a great experience on so many levels. I was able to sit in on some sessions and hear about what some other organizations are doing. There were companies like Berla that I had never even heard of that provided a high level overview of some of the really cool technology they’re working with. There were companies like Cellebrite and NUIX (that I had heard of) that provided really informative sessions on how to use their products and the benefits they offer. Not only were the sessions packed with information, but I really got a feel for what the digital forensics community is like outside of interactions with Magnet. It truly does feel like a tight knit group of people that at the core of it have one common goal–uncovering the truth. One of the best experiences I had while at Techno Security was the “unofficial social events” that would take place each night after all of the sessions were done and exhibitors were packed up. Our team would get together outside with a couple of drinks in the warm weather–and no, that’s not why this was one of the best experiences–and some experts in the industry would meet up with us to talk. It was great to get to meet some customers and get a glimpse of what their lives are like: dealing with tons of cases, working through murder cases, working through child abuse cases, etc… It’s impossible for me to fully understand what it’s like for them, but getting a peek was more than enough for me. Again, customers were letting us know just how big of an impact Internet Evidence Finder is making in their investigations. Knowing that you’re making a difference for someone is one of the most rewarding feelings, and I hope the Magnet team truly understands that we are having a huge impact. Techno Security was not only packed with informative sessions and vendors with really awesome technology–it was filled with people who spend their days trying to get to the truth. It was amazing to hear all of the positive comments from customers and to get a glimpse of what their lives are like performing investigations. I’d love to go back next year to learn more and reconnect with all of the great people I got to meet.